Eritrea had a powerful effect on Hussle. It has all started after he visited Eritrea for the first time at the age of 19. Hussle, born Ermias Asghedom, stayed in Eritrea for three months in 2004. He made meaningful connections around the dinner table with the family he had never met. But most of all, Hussle, for the first time in his life, lived in a place where people with chocolate skin like his own were in charge. But Hussle unabashedly embraced his Eritrean heritage. On Twitter last year, he posted, “Happy Independence Day to my people.”, and when a follower confused him as Ethiopian, Hussle corrected him. The Eritrean diaspora is highly divided, he said. But its members have rallied behind people who are international icons and share Eritrean heritage, including Hussle, actress Tiffany Haddish, also from South L.A., and marathon runner Ghirmay Ghebreslassie. 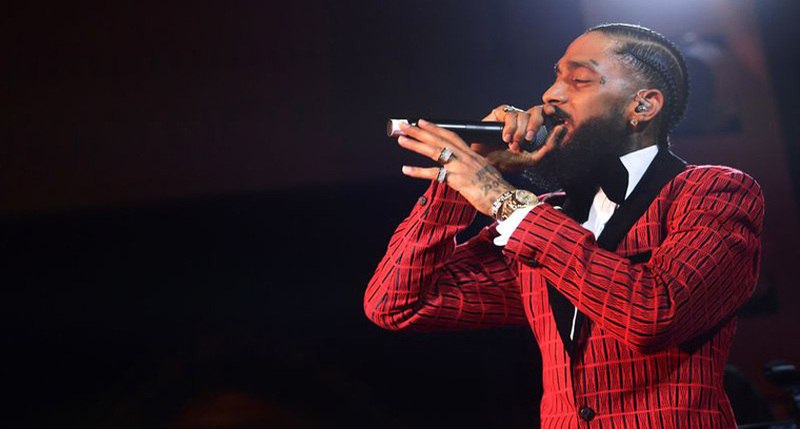 Last year, Hussle, his brother, and his father visited historical landmarks in Eritrea, met the country’s president, and broke bread with Hussle’s grandmother. Much of the time, Hussle represented his other ’hood an ocean away, sporting a snapback ballcap with “Crenshaw” written across the front. Last year, Mikail, the aspiring publicist, visited Eritrea shortly after Hussle had spent three weeks there. As she enjoyed a coffee along the palm-tree lined streets of Godena Harnet in the heart of Eritrea’s capital, Asmara, she kept hearing a familiar name.